Skyrim has been out for more than seven years, but the game has managed to stand the test of time – largely thanks to a dedicated modding community. Ultimate Skyrim is a long-running project that has pulled in dozens of mods to create a total conversion for the game, rebuilding nearly every element of the experience. Version 4.0 is now available, and it includes a utility that sorts and installs all the mods for you. The big focus for Ultimate Skyrim is on roleplaying, and it changes vanilla Skyrim (and bear in mind, this is Skyrim Classic, not the 2016 special edition) into a much more survival-oriented game. The mods it includes add temperature and hunger mechanics, they overhaul the combat system, and generally make the game much more unforgiving. 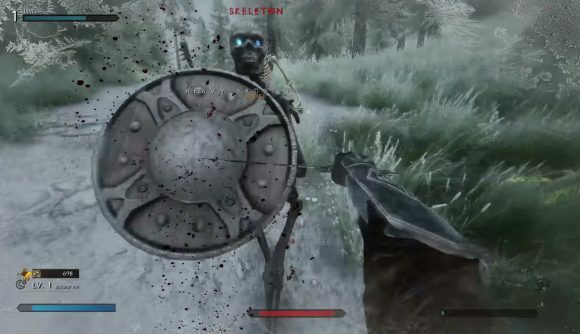 It’s built around the massive Requiem Roleplaying Overhaul, which on its own makes Skyrim a much more dangerous place. A very nice feature of this release is that it’s using a program called Automaton, which automates the creation and installation of modpacks. Using Automaton, you can be download a file that recreates a modpack’s exact installation parameters, avoiding the conflicts that sometimes (okay, often) pop up when using multiple mods from multiple creators. That’s a good thing, because Ultimate Skyrim uses a lot of mods. There’s still a bit of a process to go through to get everything up and running, but the Ultimate Skyrim official site has a detailed guide on how to start the installation process. Here’s a video by Bayliun that shows Ultimate Skyrim 4.0 in action. He’s fully roleplaying as a Khajiit character, and that includes his voiceover and running commentary, but it does give you a sense of how much is changed. To get going, you’ll want to make sure you’ve got the latest .NET framework and 64-bit Java installed, a clean Skyrim installation with no Workshop subscriptions, and 40 gigabytes of free hard drive space. You’ll also want some of the modding basics like the Skyrim Script Extender, SKSE Plugin Preloader, TES5Edit, and ENB installed. The site helpfully provides instructions and links to all these utilities. Once you’re all set, you’ll be able to install Ultimate Skyrim 4.0 either manually or using the Automaton-powered express installer. While the manual install method will always be free, you’ll need to subscribe to creator Belmont Boy’s Patreon at the $5 tier or above to be able to use the express installation on future updates. Fortunately, you can try it out for free with version 4.0.